–	Doctor degree in ophthalmology, Alexandria university, 2014 (Excellent grade). Subspeciality: uveitis. –	Currently, a lecturer of ophthalmology, Faculty of medicine, Alexandria University. –	Currently running a uveitis and ocular immunology clinic in the ophthalmology department in the Main University Hospital in Alexandria for 8 years and in Alex Eye Center for 3 years and in El Nour eye center in Damanhour for 2 years and in Tanta (Gharbeya Governorate ) for 2 years. –	Currently the coordinator of and a lecturer and an examiner in the uveitis and ocular immunology PhD course in Alexandria University for 3 years now. –	Gave uveitis presentations in a number of conferences all over the country as ESOIRS, RIO, CRM, Delta, and the scientific conferences of Ain Shams university and Damanhour and Kafr El Dawwar eye hospitals, as well as the conferences of the internal medicine and rheumatology departments of the faculty of Medicine, Alexandria and Kasr El Einy , and Assiut Universities. –	Won a number of awards for my presentations of uveitis cases, including the prize of the Egyptian society of ocular implants and refractive surgery (ESOIRS), for two successive years, in June 2014 and May 2015 and the prize of the Cairo retina meeting in January 2016. –	Participated in the Annual conference of the uveitis society of India , in New Delhi, in November 2014. –	Participated in the comprehensive uveitis training course by the International Uveitis Study Group in Venice, Italy from the 14th to 22nd February, 2015. 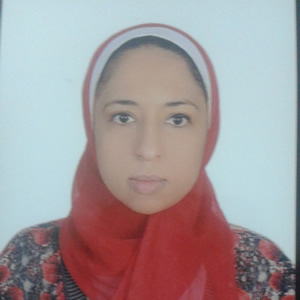 –	Instructor of the uveitis course in the EGVRS ( Egyptian vitreoretinal society) winter training school 2015 and 2016. –	Instructor and moderator of the uveitis instruction course in the annual meeting of the Egyptian society of ophthalmology held on the 11 -13 March 2015 and 16-18 March 2016. –	One paper published in the Egyptian Society of Ophthalmology journal, 2010. –	One poster in the international congress of glaucoma surgery (Singapore, February 2014). –	One paper in the 16th international conference on Behcet’s disease (Paris, September 2014). –	Two other papers are being conducted. –	Currently, a co-supervisor of three Master theses in uveitis and rheumatology.